Water is essential to life. Drinking enough, clean water everyday is a big part of keeping our bodies healthy. In Australia we are lucky to have a good supply of safe, clean drinking water available to us with the turn of a tap. Having said this, it should also be pointed out that even this “safe” water can have varying amounts of unwanted contaminates in it, which, if we have the choice, most of us would rather not put into our bodies! Eco Springs Perth has a unique system designed specifically to remove a large percentage of these “nasties” from your tap water so that you can enjoy the health benefits of very high quality water, together with the convenience of using your own tap and at the same time save money by not having to use expensive, environmentally damaging bottled water. All bodily functions are affected by water. 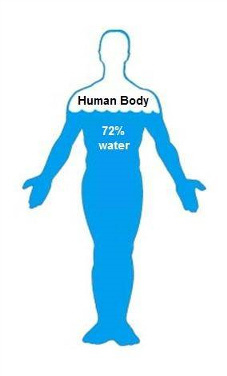 Most adult bodies are between 55 to70% water. Drinking enough water has been shown to help the body heal itself from many ailments. Most mature adults lose 2.5 to 3 litres of water a day. The recommended daily intake for adult men is 2.6litres or more and for women 2.1 litres or more. Not drinking enough water directly affects both your physical and mental performance. Lack of water can lead to Dehydration. 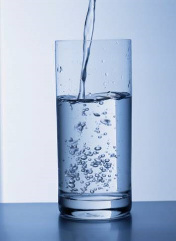 Water helps maintain youthful, glowing skin and is an absolutely essential component of a healthy body.